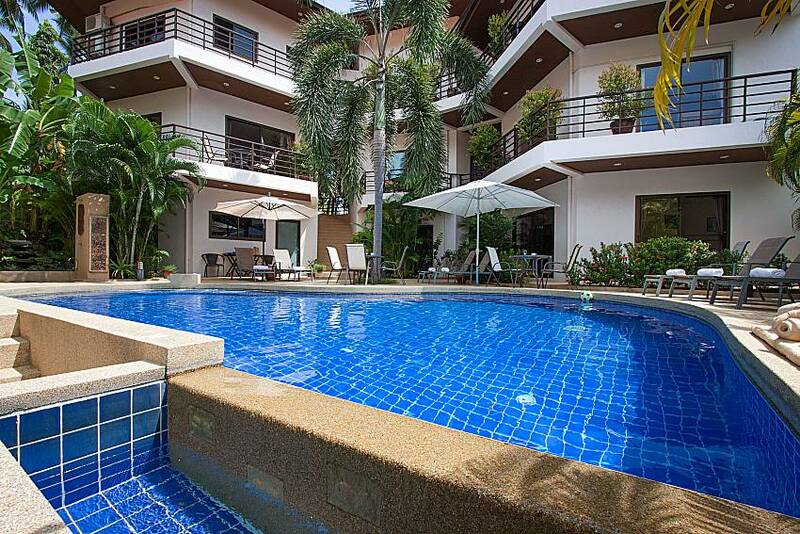 ​This small private complex has everything you need, deluxe houses and apartments, a private pool, Jacuzzi and garden. 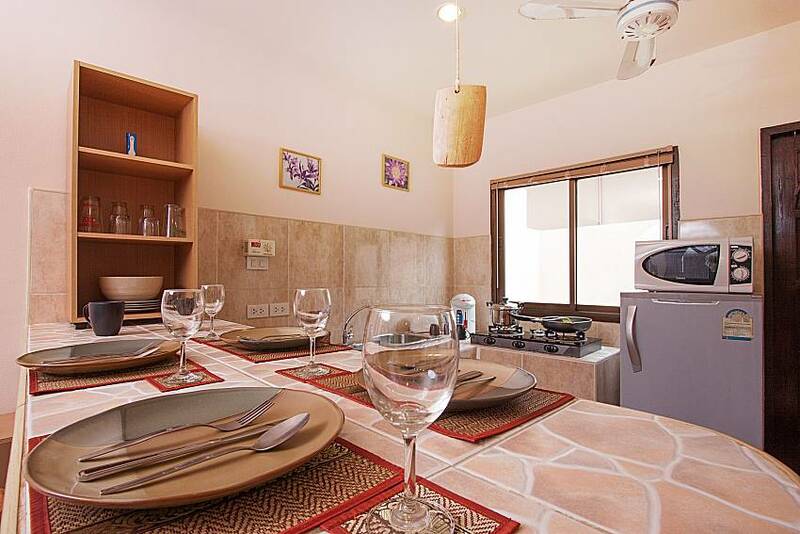 This townhouse-villa has 1 double bedroom and another with 2 single beds. 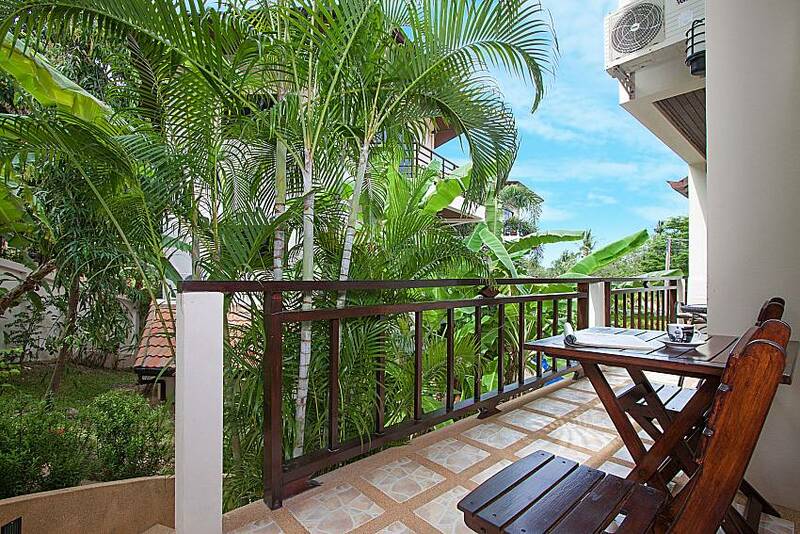 Chaweng Noi’s beach is only 300 meters away. 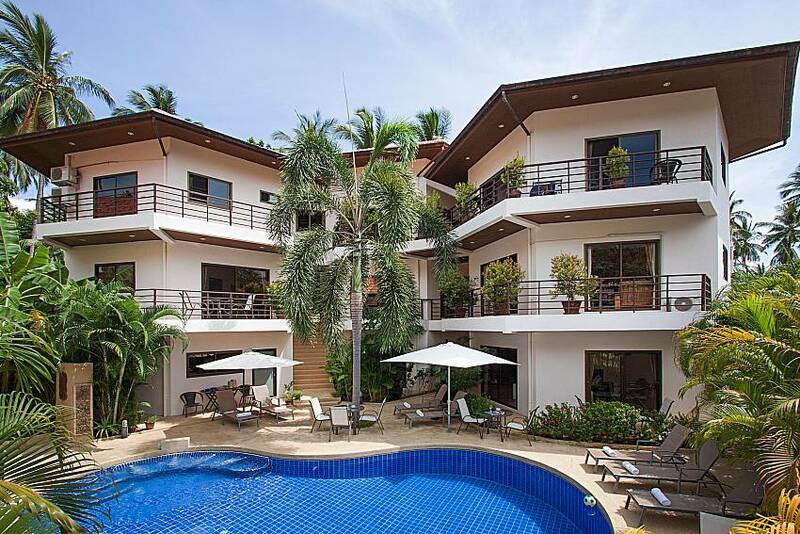 Within the complex are 4 other townhouses and 4 apartments available to rent. 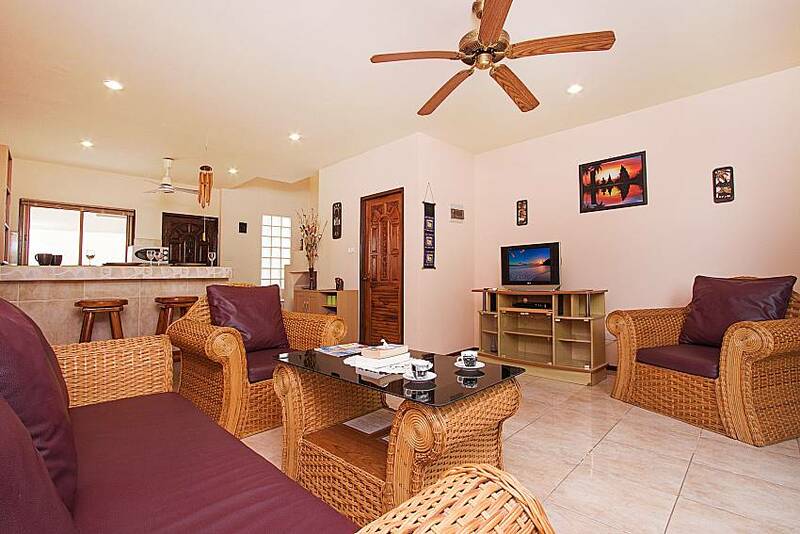 This 2 bedroom townhouse style villa has everything you need for your perfect relaxing holiday. 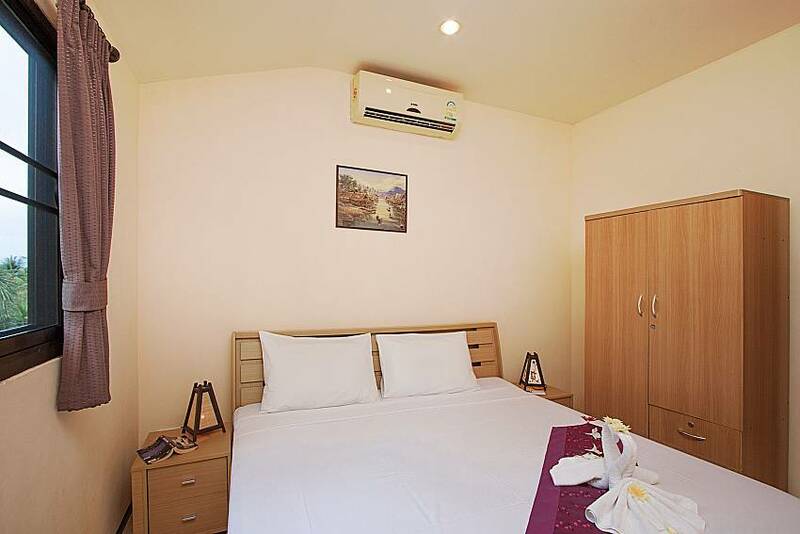 You can get away from the lively tourist areas yet be emerged in the hotspots after just a 10 minute drive. 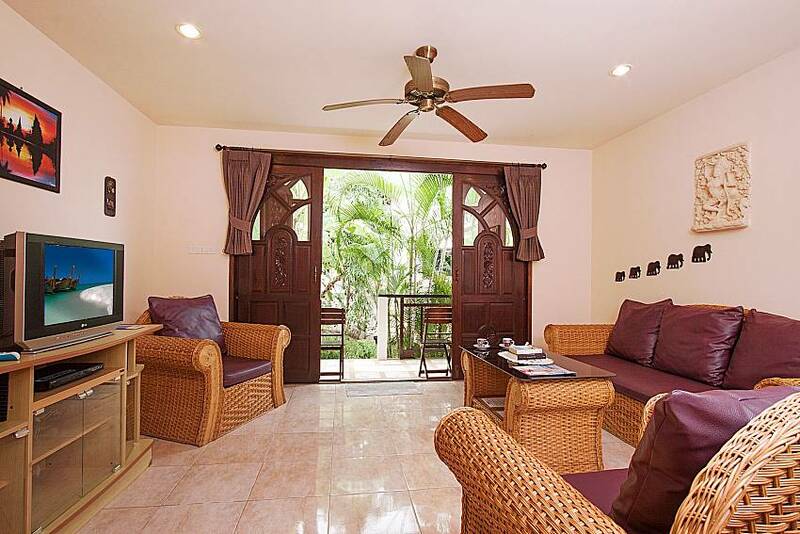 The complex is small with just 9 villas and apartments overall, all available to rent, which is ideal if you wish to holiday with friends but still have your own privacy. 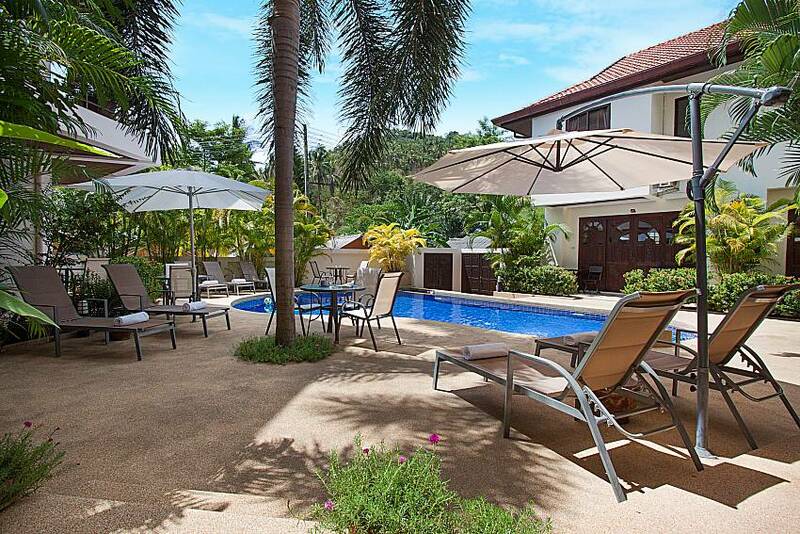 A sizable secluded communal pool surrounded by beautiful trees and plants with ample table, chairs, sun loungers and a shower. 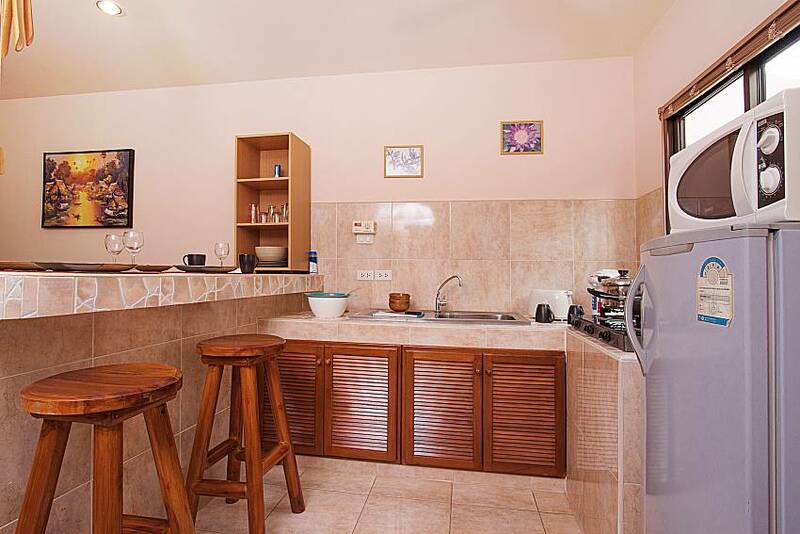 You can also enjoy the taste of a spa, and relax in the Jacuzzi and walk around the calming garden. 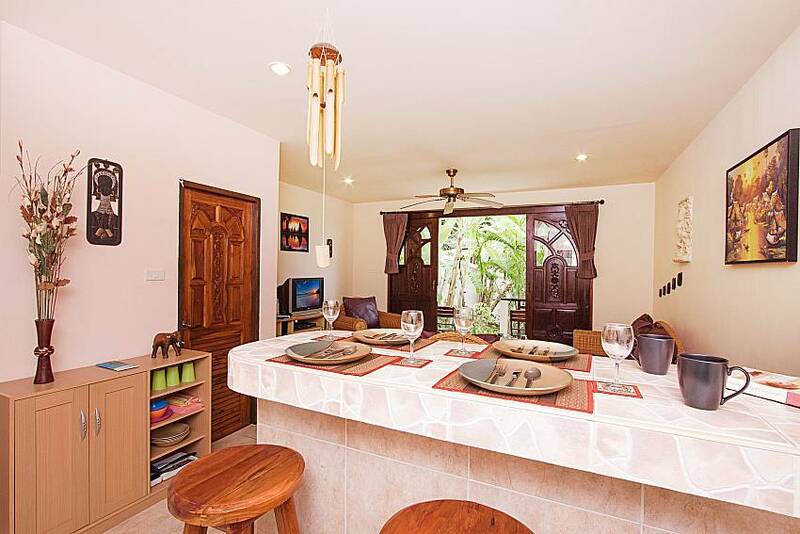 The Villa offers a spacious open plan living, dining and kitchen area set on the first floor. 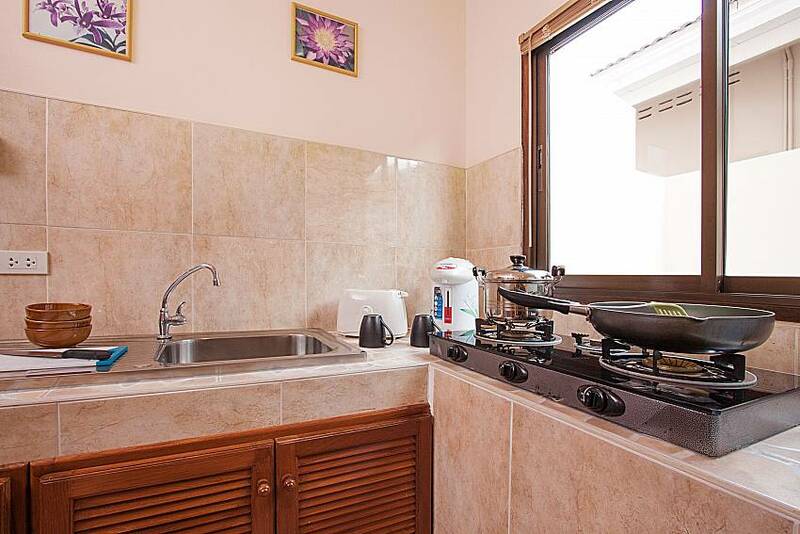 The kitchen is equipped with everything you need and includes a fridge, microwave, hob, kettle and toaster. 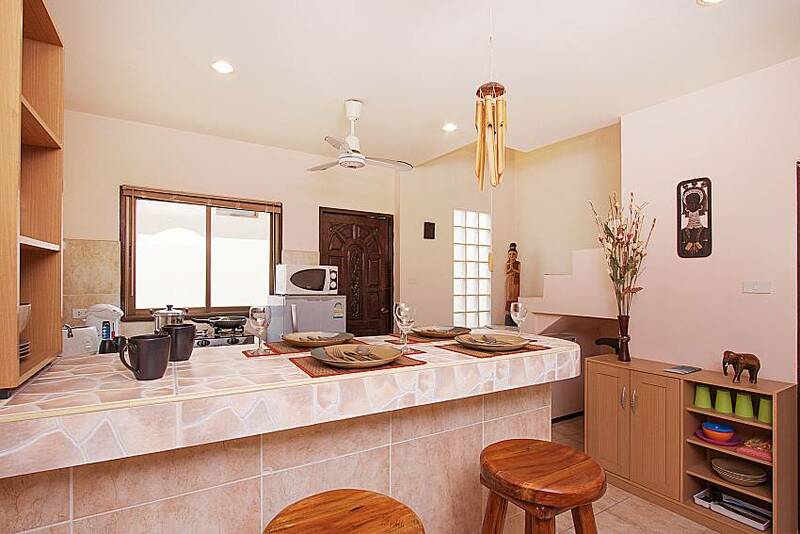 The laid-back dining area has a breakfast bar and chairs. 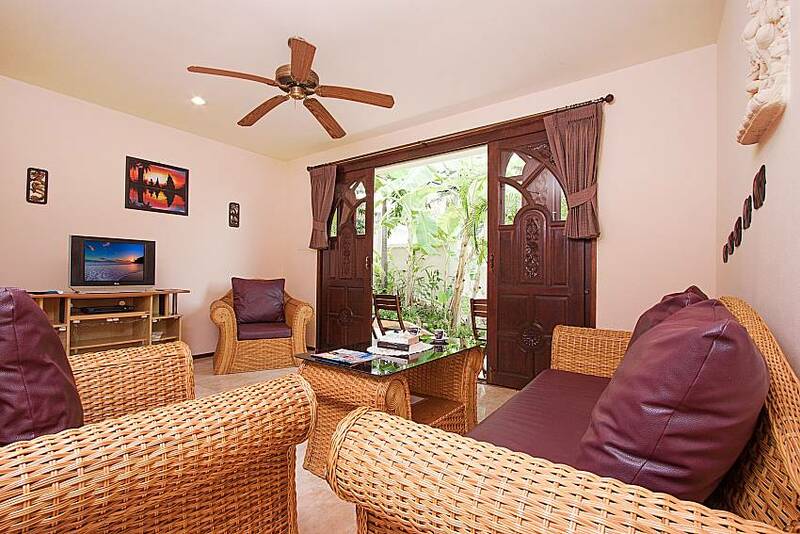 The large living area with stunning Thai décor has a four-piece wicker furniture set with 3 comfortable sofas and a coffee table. A cable television sits opposite on a shelving unit. 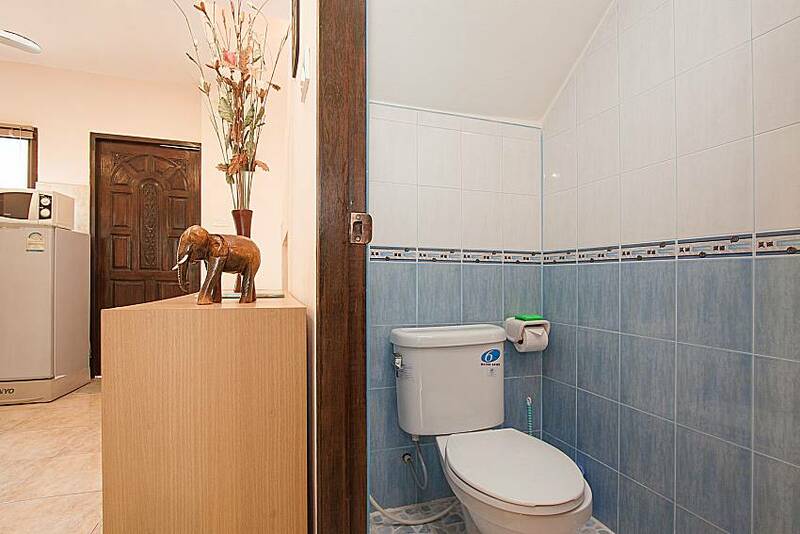 A downstairs toilet has been added for extra comfort. 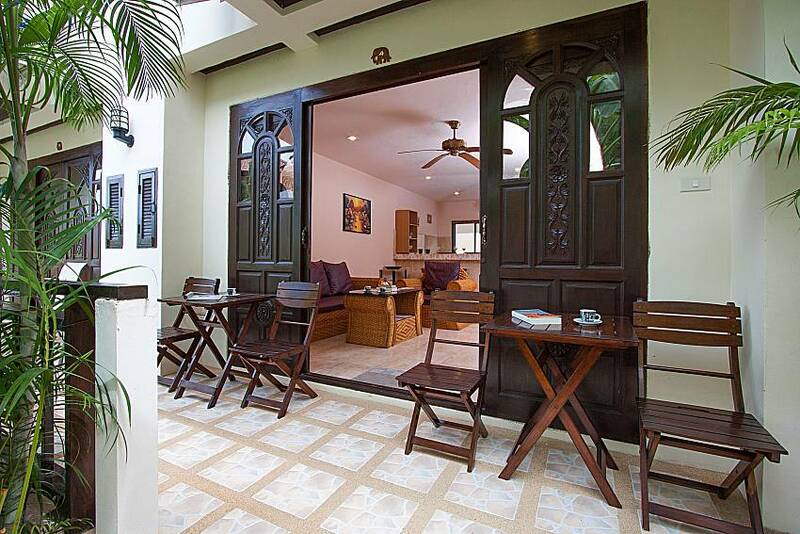 The pool and Jacuzzi are only a few steps away as wooden double doors show you to your terrace area with table and chairs. 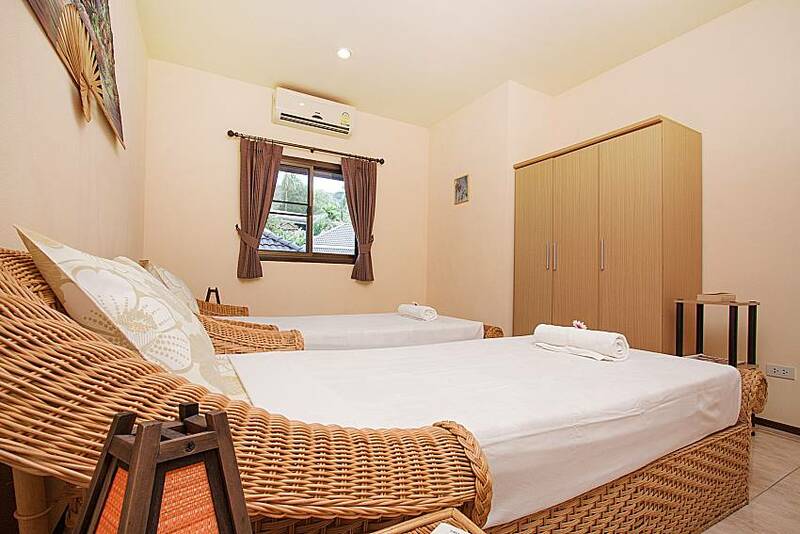 The top floor has 2 bedrooms, one is a double bedroom and the second room has 2 single beds. 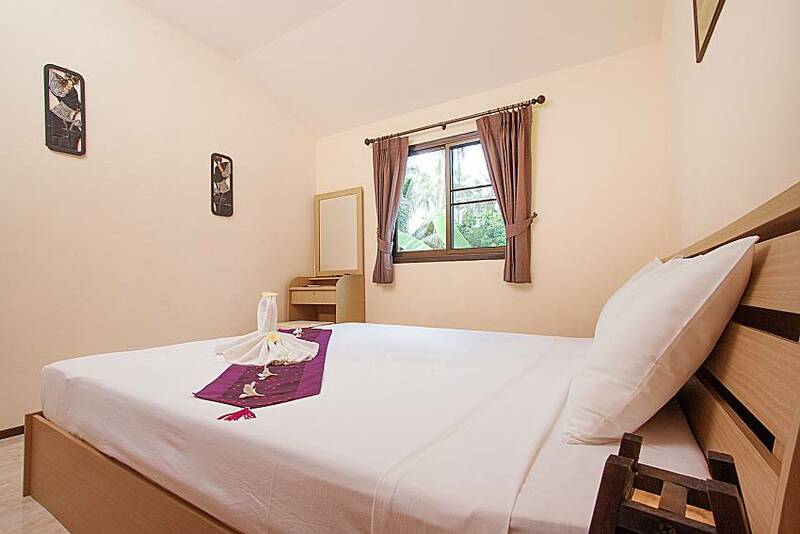 Both bedrooms have a wardrobe and air-conditioning. 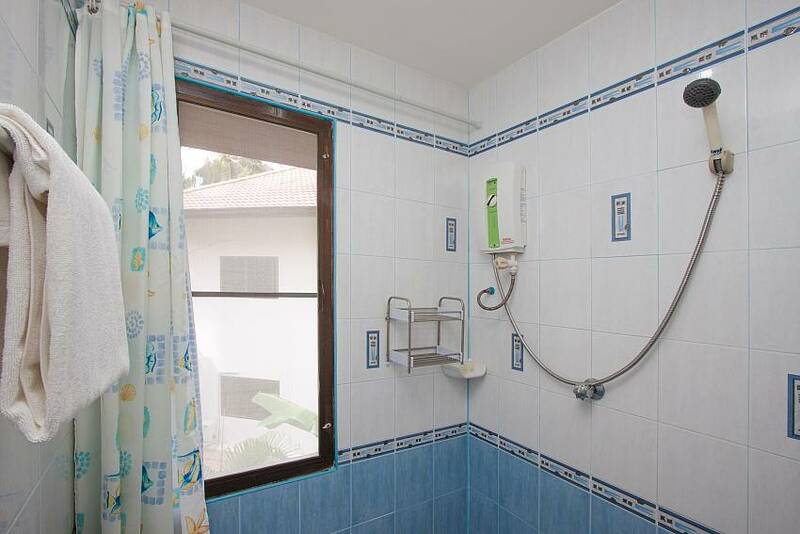 A large bathroom with a separate shower is shared between both bedrooms. 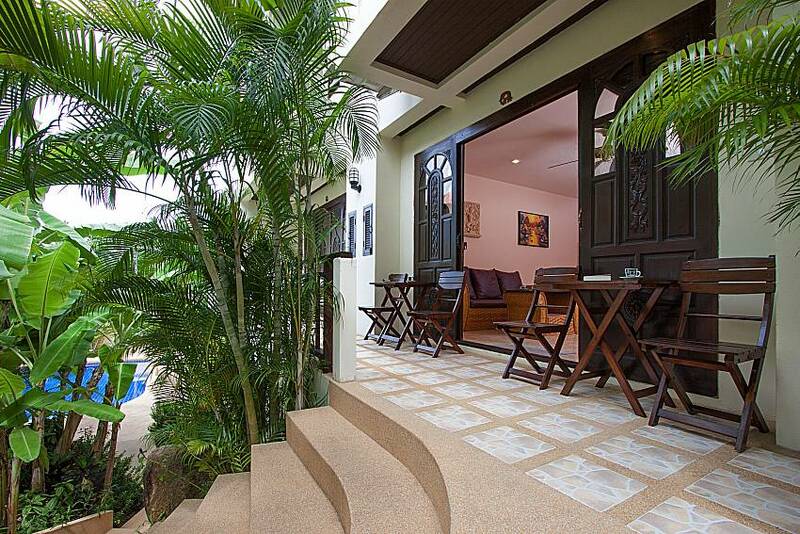 Chaweng Noi beach is only 300 meters away from the Villa. The beach has everything to offer, from quiet spots for you to daze off under the sun to fun activities such as jet skiing and kayaking. Stretched along the beach there are plenty of places where you can eat and drink. 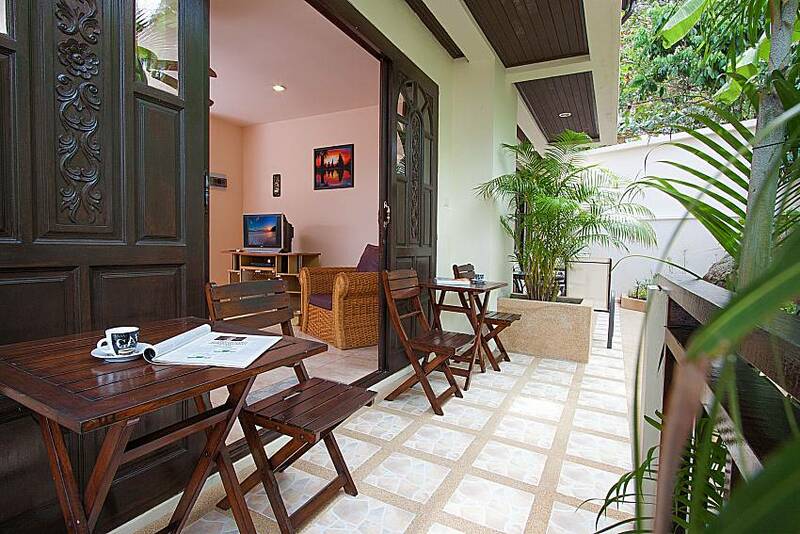 The busy tourist areas of Chaweng and Lamai with the lively night market are only a 10 minute drive. 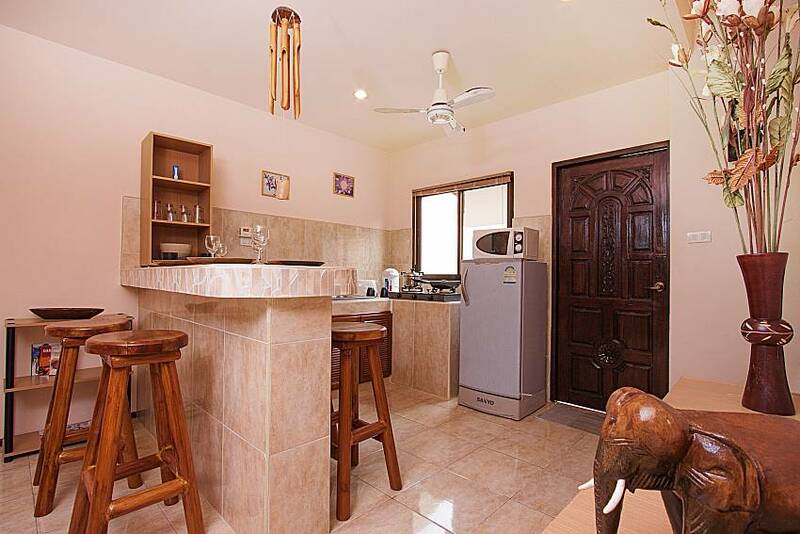 Click here for more of our lovely Samui rentals. 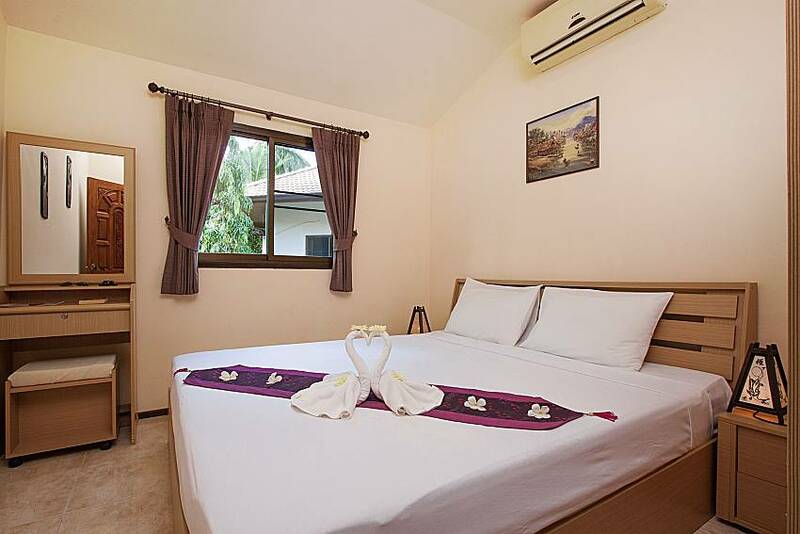 "We are a family with two children and booked a villa through thailandholidyhomes, Wan Hyud Villa. 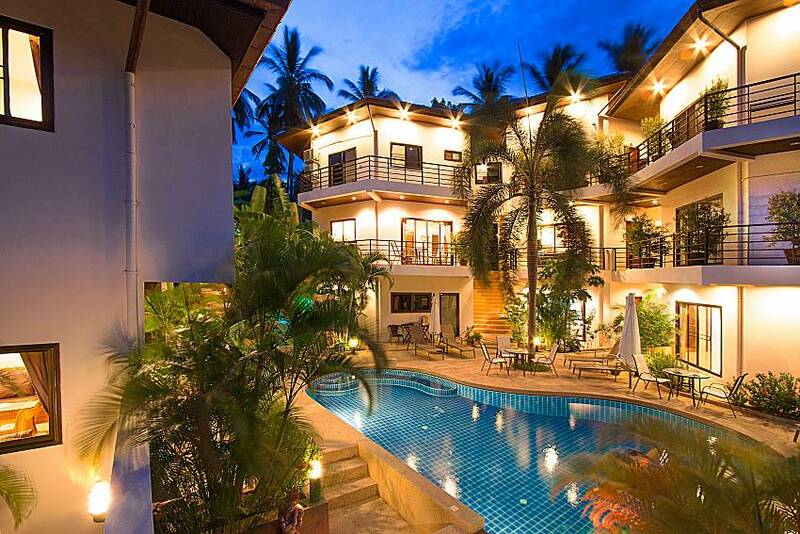 The villa was exactly as described on the website. 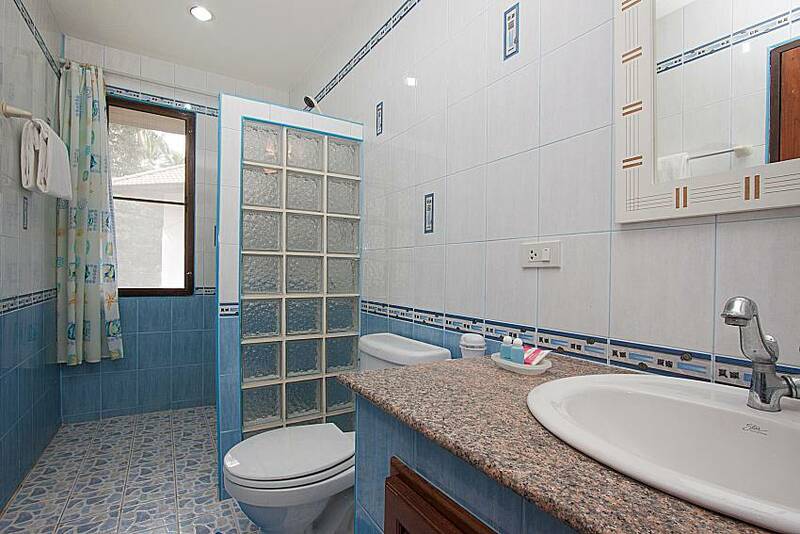 Very nice clean and family friendly facility. 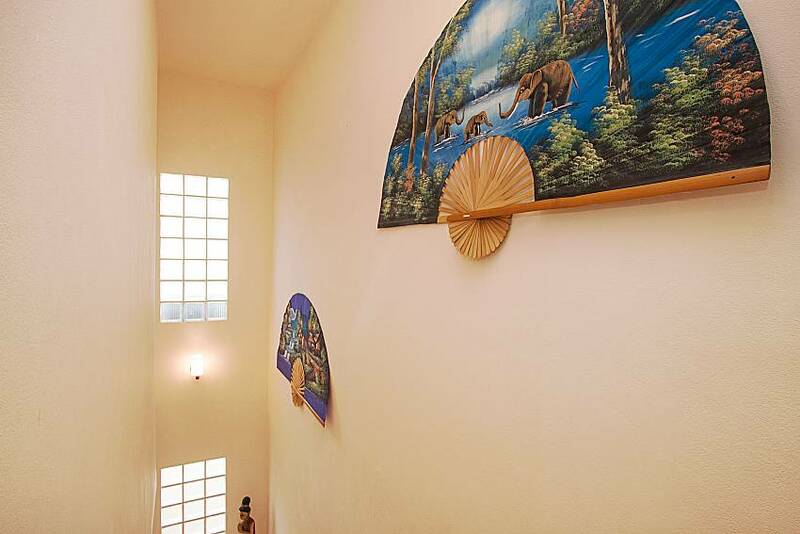 The cleaning staff lives directly in the development and was any time approachable. 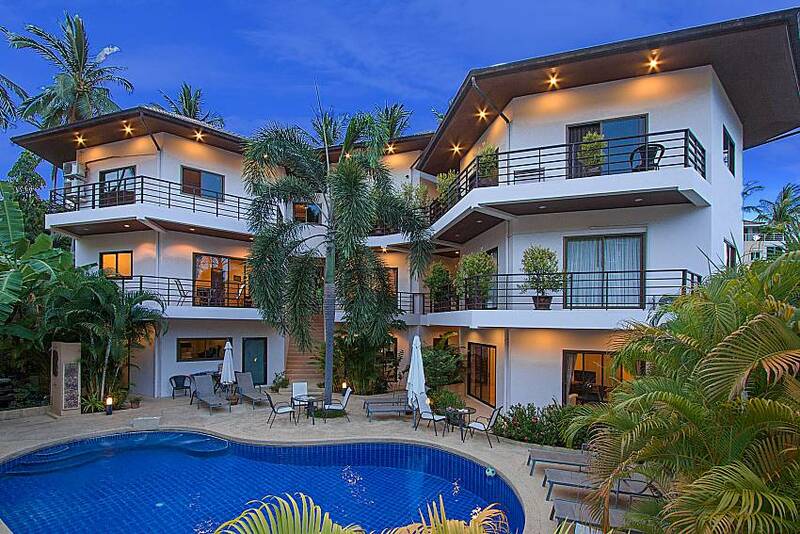 Particularly to be highlighted was the support of the Thailand Holiday Homes manager Richard. Very good communication with simple check in and chek out. Richard was always available and often gave us good and helpful tips. Thank you Richard. Until our next vacation. Ulrich from Germany."